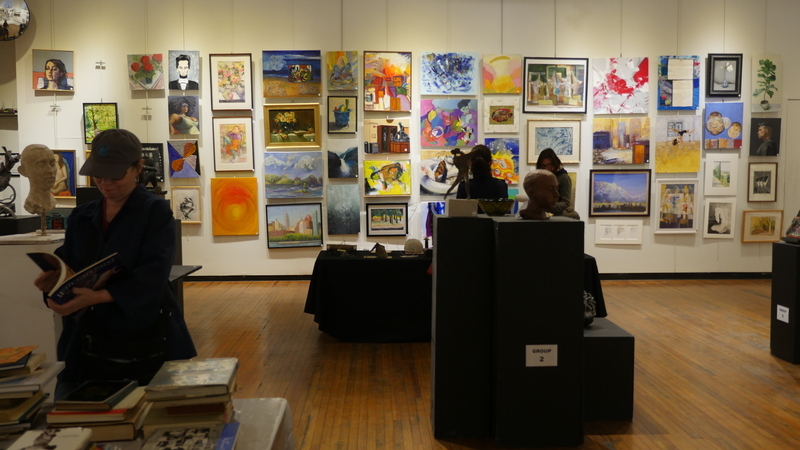 More than 400 works are on sale at the Art Students League of New York for very affordable prices. Every December, hundreds of art-lovers and gift-givers bring home great values, choosing from a wide variety of works by emerging artists. Paintings and prints—landscapes, portraits, still lifes, and abstractions—sell for no more than $1,000. Prices for sculptures are capped at $1,500. Some pieces are priced at less than $100. Some of the best works go early, but artists always put up new work after a piece is sold. The sale is held from 12/10-12/21. Hours are Monday through Friday, 9:00 a.m. to 8:00 p.m.; and Saturday and Sunday: 9:00 a.m. to 4:00 p.m. The sale ends at 4:00 pm on Friday, December 21. For more information, call 212-247-4510, ext. 165, or email info@artstudentsleague.org.